​Providing something "different," something out of the ordinary, for your guests will leave an impression that will be worth coming back for more, making your resort or hotel stand out from the others. Let's talk about how we can make your property even more special! More and more travelers are wanting to have an experience with or be up close to nature but from a luxury vantage point. 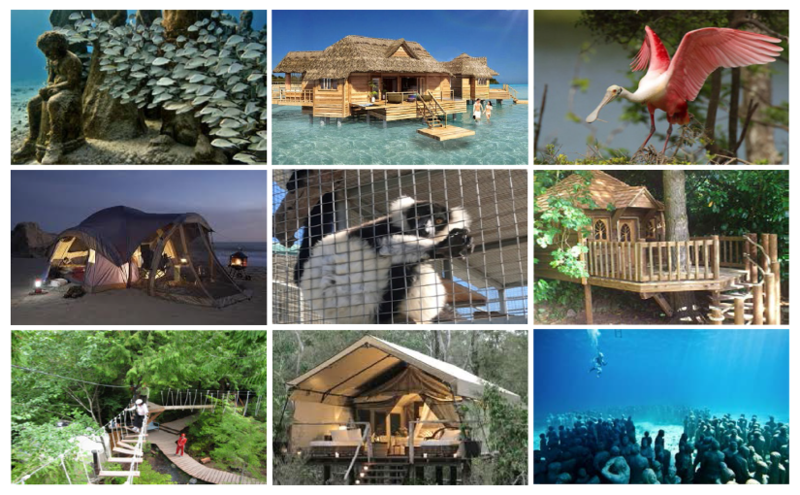 Offering "close to nature" villas whether over the sea or in the tree tops, or in glamorous tents set in special wilderness locations are all the rage. Don't be left behind by not thinking outside the box! Give Your Guests Something They Will Never Forget!